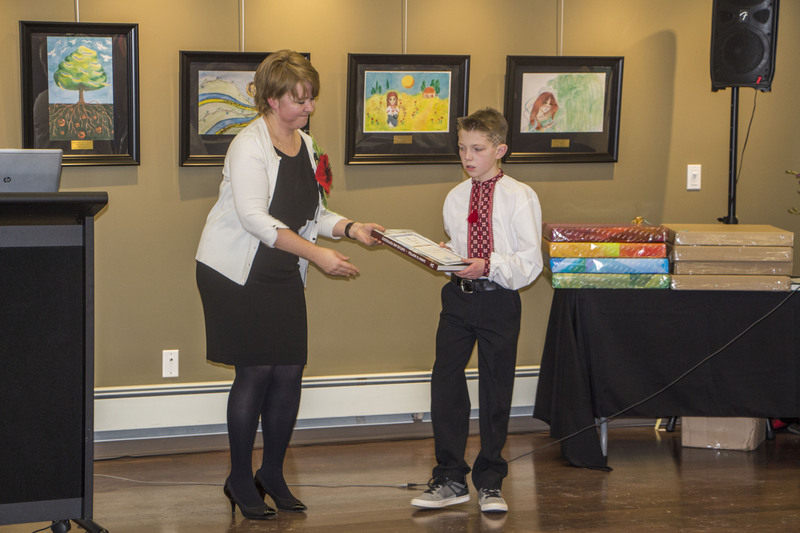 January 20, 2015 – In September 2015 Olena Hartsula, the Ukrainian Language Advisor for International Education Services, Alberta Education, initiated a four-month project “Let’s Read Together”. The objectives of the project were to develop global citizenship skills as well as to provide school students with an opportunity to represent fiction literature through art. 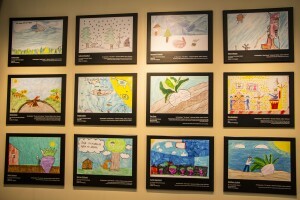 “A number of sister-schools in Edmonton, Sherwood Park, Vegreville, Velyki Mosty and Lviv participated in this project. We received emails from Ukrainian and Canadian school students who shared their impressions of the books they read,” notes Hartsula. As part of the project, an art contest of students’ works was also organised. 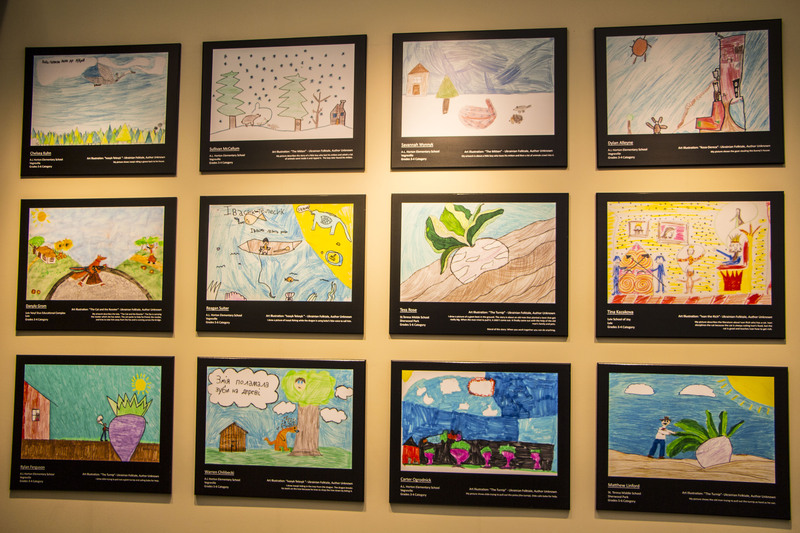 Overall, 86 works from Ukraine as well as 79 drawings from the Ukrainian bilingual programs in Alberta were submitted to the contest. The jury board was comprised of Naamah Segura (International Education Team Leader), Nadija Szram (Office and Operations Manager, St. John’s Institute), Nataliya Grytsiv (President of Arts of Life Studio), Olena Hartsula (Ukrainian Language Advisor), Pamela Trischuk (Head of Education and Interpretation Services, Ukrainian Cultural Heritage Village), and Suzanna Brytan (Executive Director, St. John’s Institute). Grades 10-12 Victoriya Popovych (Ivan Franko School of Ukrainian Studies, Edmonton). 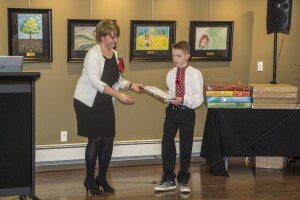 Additionally, Dahlia Gladys from A.L.Horton School in Vegreville received a special award from the Ukrainian Embassy in Ottawa – a book of art. [FOOD] Frozen Ukrainian delicacies now available! Copyright © 2014 St. John's Institute. All rights reserved.